What Does it Do? 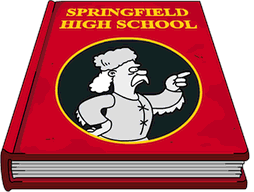 : No questline associated with this one, however, kids of Springfield (officially the Youngsters Group) have a 4hr task there…”Learn By Fun”. When in use the building lights up and a kid comes out of the slide. WDTCF: “Lisa’s Substitute” S 2 E19. It’s an area inside the Springfield Museum of Natural History. What Does it Do? : No questline associated with this one, however, Miss Hoover has a 4hr task there…”Moonlight at a Nicer School”. When in use the building lights up and silhouettes of kids appear. The two in the upper window are fighting. WDTCF: “Lisa’s Sax” S9, E3. A Flashback where they briefly thought about sending Lisa. And that’s it my friends, the details on the first two Love, Springfieldian Style week 1 prizes! Thoughts on the Childrarium? How about on Miss Tillingham’s School? 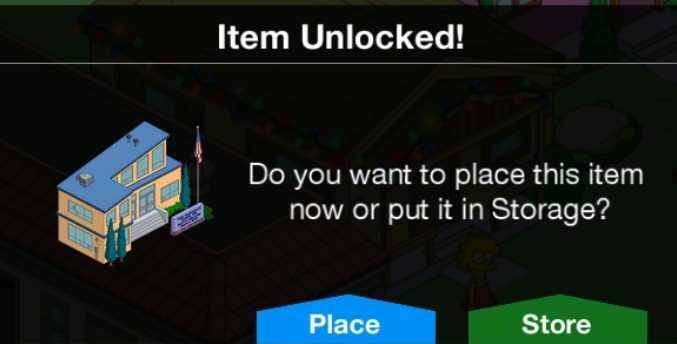 Where have you placed them in your Springfield? 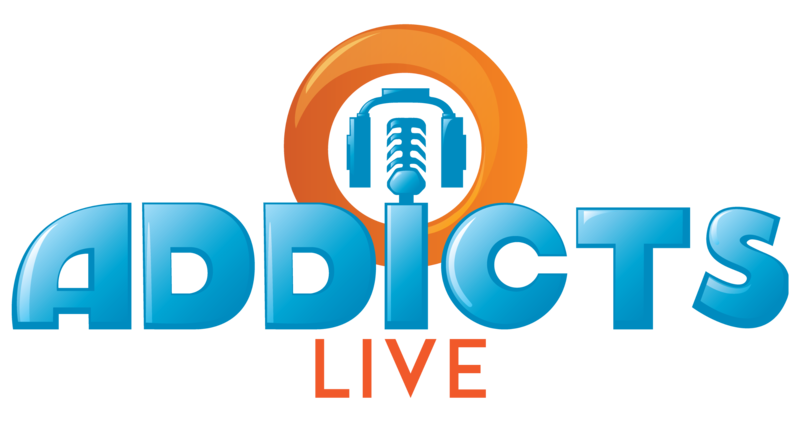 Thoughts on the prizes so far? Sound off in the comments below, you know we love hearing from you! 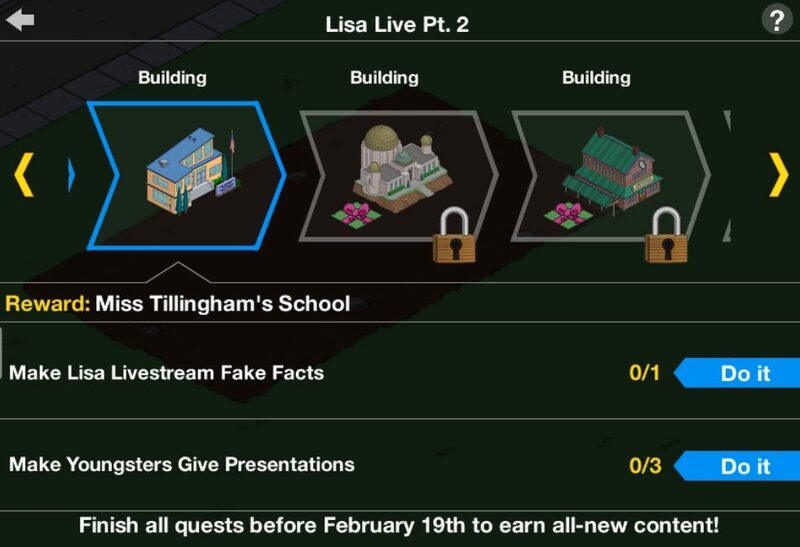 This entry was posted in Decorations and tagged 2019 Valentine's Day, how do i get miss tillinghams school, how do i get the childrarium, Love Springfieldian Style Event, Tapped Out Tips and Tricks, task at miss tillinghams school what does miss tillinghams school do, task at the childrarium, The Simpsons Tapped Out, TSTO Addicts, TSTO Love Springfieldian Style, TSTO Tips and Tricks, TSTO Valentine's Day Event, TSTO Week 1 valentines questlines, what does the childrarium do, where is miss tillinghams school from, where is the childrarium from. Bookmark the permalink. I like the Greek font on the Childrarium as well as the design of this building. I might put it with the Toy Fortress from the Christmas event since they are both child related buildings. 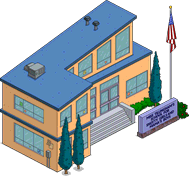 I plan on adding the school with the Enriched Learning Center because they both have a similar design and are both schools for the brainy children. It is great that Miss Hoover has the task at the school since its usually the lower level characters that get the tasks. 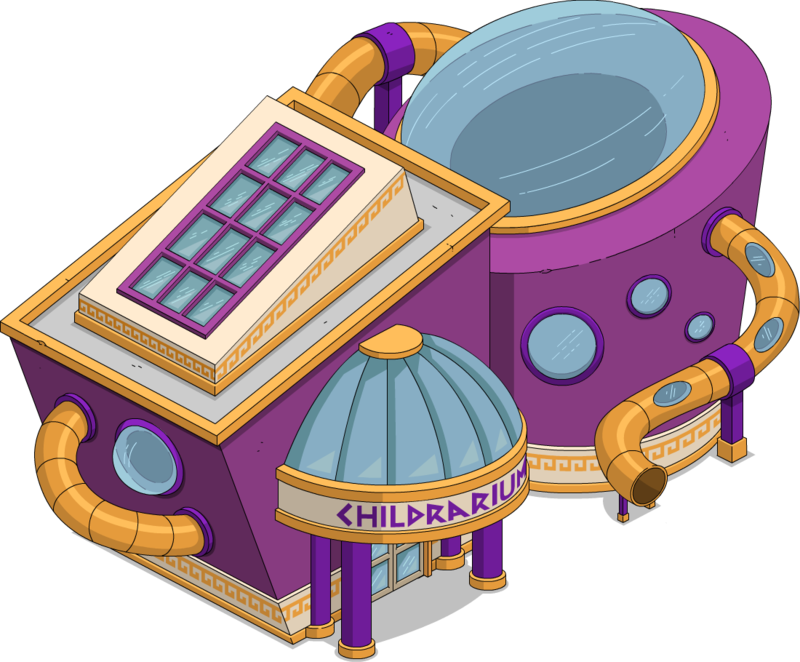 It would be good if the buildings that give character groups tasks would have a list of all the characters appear when the building is tapped just like Moe’s Express but get added to the Childrarium, Boiled Potato and other buildings with multiple character tasks. I’ve put the Childarium in my Future Zone as it would look odd anywhere else. The new school fits just about anywhere. Wanted to add that EA is getting a little lazy/sloppy(?) with the new buildings. I feel like they should at least once trigger a character with a new job there so we know about it and can view the animation. Thanks again for all the info! It will be better…have a chance each time for 1,2, or 3 Doughnuts….good luck! Thanks for including the WDTCF info. Thought the Childrarium was a little too cartoon at first, but I like the animation. Probably going to store the school. Nice event. I just need to slow down my play haha. I’ll probably have Bergstrom tomorrow. At least I’ll have the new character questlines to keep me busy. No time to write big detailed posts but I still know where the stuff came from lol I’ll be including it in posts (as long as I know and remember) from here on out. Also have a running list on the event page of the WDTCF info for each item in the event…that’ll be updated for each act. The third prize with land token. Beware!!!! Get the land before you push the new button . I ended up with donuts instead of land. Talking to each now to get land and return donuts back to them. I hope I’m making sense. I got the realty building with free land every 12 hrs in the last event so, right now, I’d prefer getting donuts. 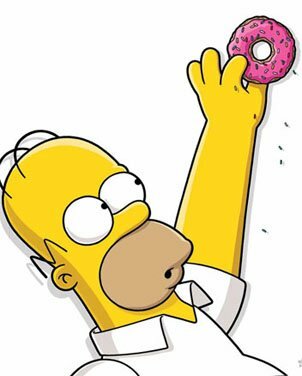 Fortunately, I’m building the monorail right now so the donuts are rolling in. Unfortunately, I’m playing on an Amazon Fire tablet so it takes forever to move across my town. Rule #1 of contacting EA’s TSTO Support…never trust anything they tell you. You’ve been told no plans to fix. Someone else was told they’re working on fixing it. And someone else was told a patch would be dropping soon. ie no one knows what the hell they’re talking about. Some, not all, of EA’s customer service reps completely destroy the game for players because they’re reading from a book and if the information isn’t in that book they have no idea what they’re saying. Again, this is some…not all. There are some really good reps at EA’s customer service who know what they’re talking about. My advice, wait it out. My experience with EA over the last 6 years is that they will release a patch to fix this. Might take some time, but one will come. I have had limited success with them in terms of dealing with the Alice Glick problem we discussed yesterday, basically they just sent a generic Android problem solving chart, which hasn’t work. The reply made no mention of a specific problem with this game. Do you think there is any point in contracting them again? Should I mention your name? I’d wait. At this point, the studio knows there’s an issue there and likely a patch will be released. However, I think that patch is lower priority than the zoom one. Regarding the original topic, my experience as a prior Amazon Fire tablet user was that updates and bug fixes for that particular platform were given lower priority than those for Android and iOS. That’s typically true. But a zoom bug is a higher priority than a character task bug. So who wants to place bets that alissa will go crazy from people still asking why they haven’t unlocked the prize because they haven’t scrolled down the task list yet. To me it seems like they are just throwing extra crap at us they had designed already & didn’t know how to release. There has been no love her yet besides the hostage situation at the dance. hate to say it…but some people have unrealistic expectations…and are never satisfied?